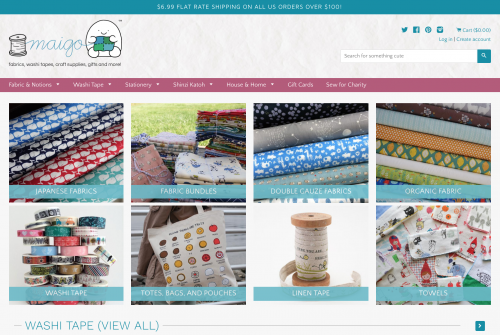 BACKGROUND: In 2012, I launched an online retail shop selling Japanese and organic fabrics and craft supplies. I designed and developed the website, sourced the products, and manage all the day-to-day operations. PROCESS: I researched local shops and online fabric stores to survey the current selection of Japanese fabrics. I also researched fabric shops based in Japan to see what fabric brands were selling well. I contacted several fabric manufacturers in Japan to find out which ones exported to the US or had a distributor. I opened two online shops – one on Etsy and one on Shopify with customized templates, utilizing Stitchlabs to manage and sync the inventory for both platforms. 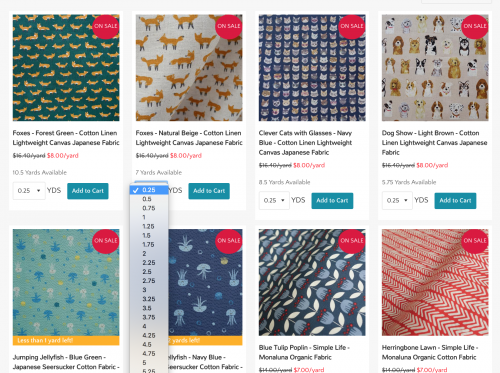 I worked on optimizing the content on both platforms for searches, and eventually landed on the first page of Google search results for “Japanese fabrics”. Maigo was also featured in Vanity Fair’s Holiday Gift Guide in 2013. After examining the web analytics to see how people were navigating the homepage and what devices they were using, I redesigned the website with a responsive mobile-first design. Because few people were using the menus and were navigating by clicking on images in the main content area, I reduced the emphasis on the menus and added larger photos for each product category. These efforts combined with more activity on Pinterest and building up my newsletter subscribers led a doubling of the revenue. I designed clear visual indicators so the customers could quickly identify products that are on sale or low in quantities. 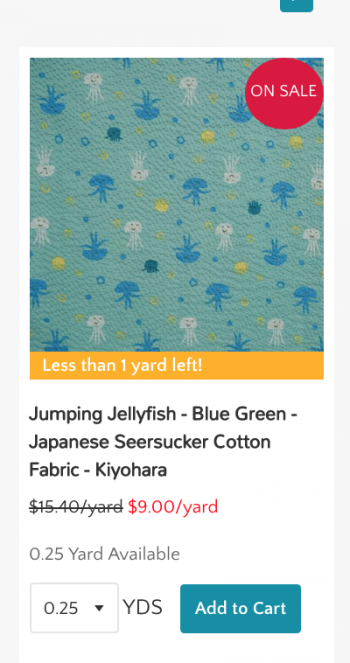 Product listings also include the total yardage available so users immediately know if there is enough yardage for their project. BACKGROUND: At the James Beard award-winning food blog Serious Eats, I collaborated with editors and contractors to design and launch new websites, improved user-facing features, implemented marketing campaigns, and provided customer support. GOAL: As new sites were added to the umbrella of the Serious Eats brand, we realized we needed to redesign the main website to accommodate all the new content. We needed to make sure readers would be able to navigate the site and find what they were looking for. We decided to conduct a usability test to learn how readers were using the site and how they thought the content was organized. We conducted 10 tests with 5 current readers and 5 people who had never heard of Serious Eats. The test was a combination of a usability test, survey questions, and interview questions about their actions. Following the tests, we coded each response and then did a card sort to group the responses into categories that we would use to organize the content on the website. 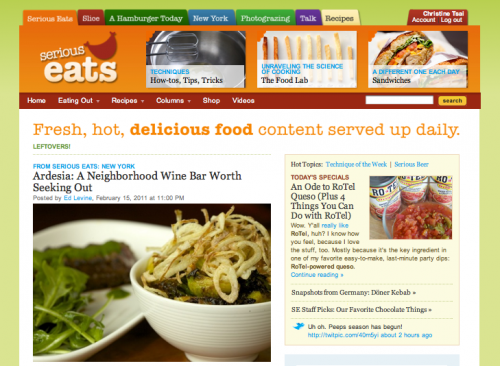 FINDINGS: Readers did not realize that Serious Eats was composed of several individual websites and thought all of the content appeared on the front page. The only navigation tab that was clearly understood was Recipes. Only one person used the search box. Unfamiliar readers didn’t understand the meaning of some of the navigation tabs, which represented individual websites. The original website had separate tabs at the top of the page for each separate website. We couldn’t continue using this format if we wanted to add several new websites. 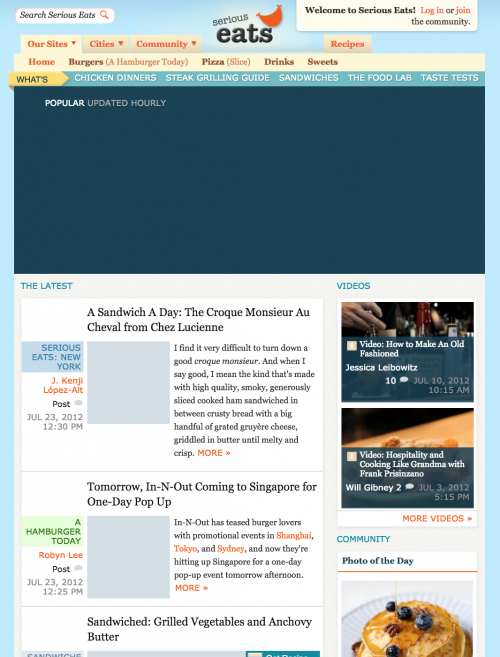 The homepage of the website showed a curated selection of articles from the different individual websites, but not everything. We simplified the navigation, grouping the websites by type and adding clearer descriptors so readers would understand the subject of the website (Slice == Pizza). We decided to include all the content from all the websites on the homepage instead of selecting a few articles, since readers assumed this was what was happening already. Instead of highlighting editor-selected articles at the top of the page, the featured articles in the top half of the page were determined by what the readers were reading the most at the time. 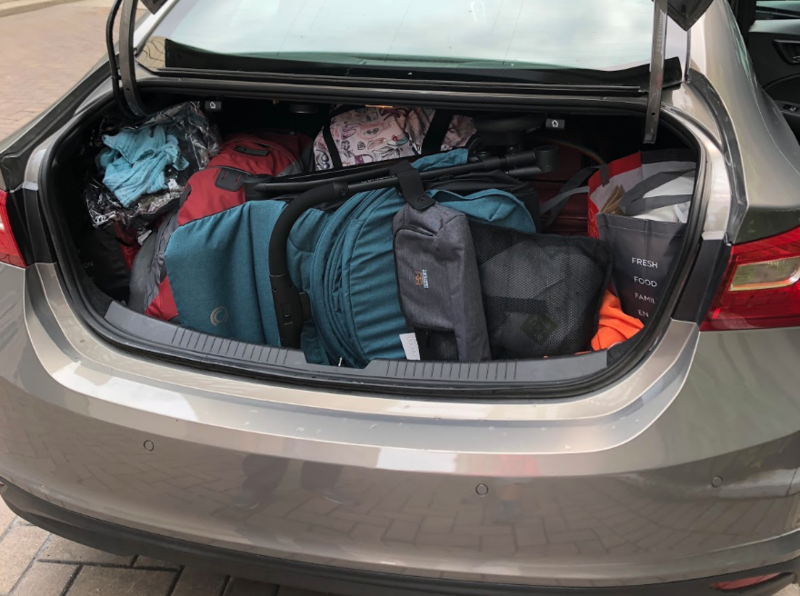 BACKGROUND: For my UX Research class at UC Berkeley, I focused my research studies on the experiences of parents traveling with young children. Families with older children and younger children have different needs when they travel, but websites often don’t distinguish between the two groups. GOAL: I was interested in understanding the special challenges parents of infants and young toddlers face when they plan family travel, whether they found features and information targeted to “families” useful and relevant, and uncovering new opportunities to serve them. I conducted 4 research studies with parents of young children (0-5 years old) who traveled within the past year. Are users able to understand the “For families” trip type filter? From the “Homes for families” screen, are users able to search for available homes in a location within a particular date range? 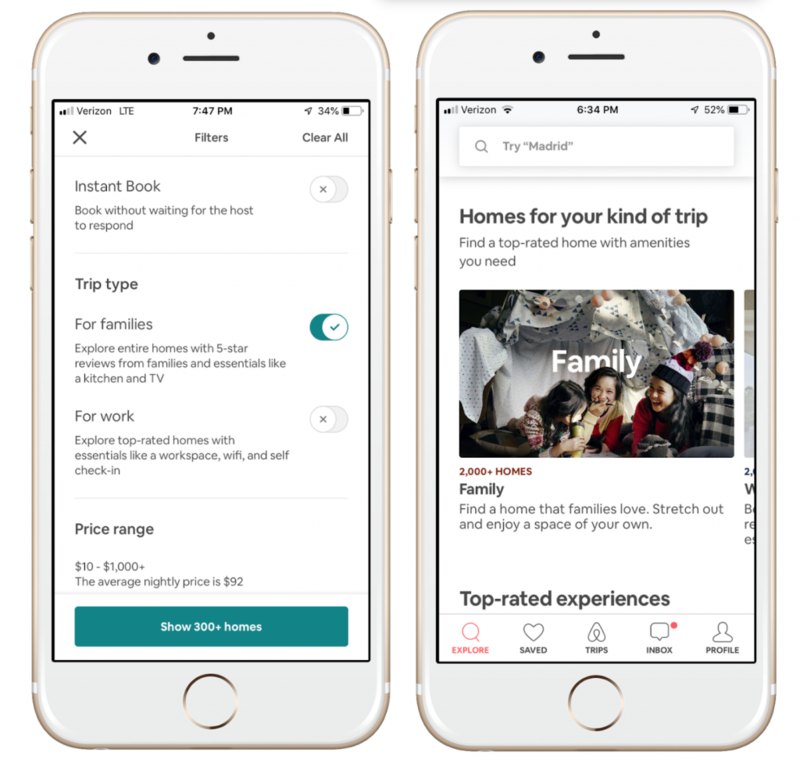 How do parents feel about finding and booking accommodations with the “For families” trip type filter on this mobile app? All the participants found the “homes for families” to be beautiful and luxurious, but some thought the houses were not appropriate for young families. What tools, websites, and services do parents use to plan their family travel? What do parents find are the most challenging aspects of traveling with young children? What do parents feel would help make traveling with their children easier? Methodology: Conduct an interview with each participant, either in-person or via phone. Each session will last 30 minutes. There was no specific blog or website that people would go to for travel planning. They would just do Google searches and see what websites and blogs comes up. To make travel easier, 3 out of 4 participants bought travel strollers just for the last trip they took. They wanted something more lightweight, smaller, and versatile. What are the most important home features for families with infants and toddlers? What are the most important home features for families with older children? How many people have used the filters on Airbnb to find accommodations with cribs or high chairs? How many people have used the “Trip Type” filter for families? Did people find the “Trip Type” filter useful? How satisfied are people with using Airbnb to find family accommodations? 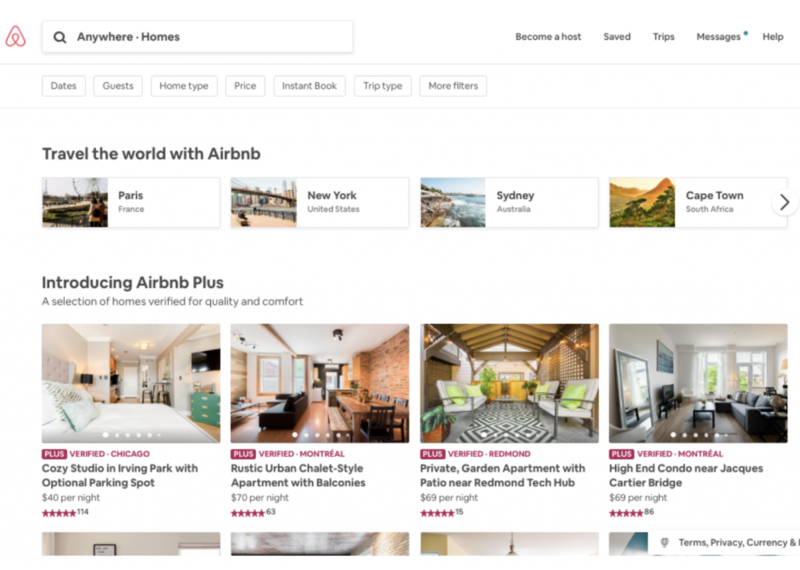 People are generally satisfied with their experiences finding homes for their families on Airbnb. Parents generally place the same level of importance on the same home features, regardless of their children’s age. Baby-proof furniture and no stairs are considered more important than cribs or high chairs by parents of young children. TVs are not as important as other features in the accommodations. The usefulness or existence of filters to help search for accommodations is not clear to many people. How do parents plan activities during family travel and what resources do they use? What information are parents looking for when deciding on family activities? What are the gaps, if any, in the resources currently available to them? Methodology: Conduct a contextual inquiry and participatory design session with each participant, in-person or remotely. Each session will last approximately 45 minutes. 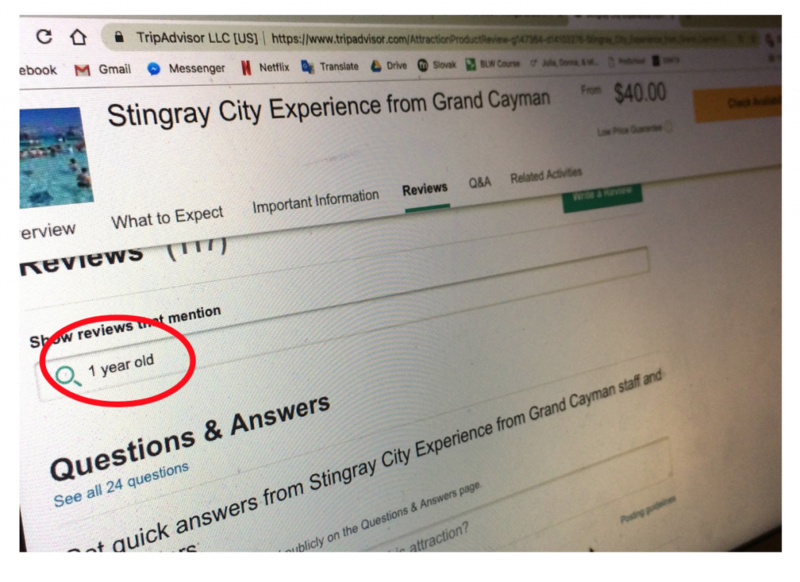 Participants felt that general travel reviews were not that useful, and that even “kid-friendly” lists were not usually relevant to younger children. Participants wanted to find information from parents who had children the same age as theirs. They would verify the appropriateness of activities by checking multiple websites and searching through reviews for certain keywords.